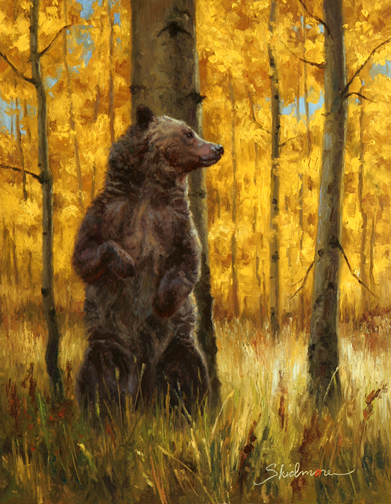 A passion for wild creatures and the places they inhabit is reflected in the paintings of Ryan Skidmore. Whether it is wildlife, sporting scenes or pure landscape, Ryan tries to create a connection between himself, the viewer and the things he loves. Using a painterly style, he concentrates more on the effects of light and the essence of a scene than superfluous detail. 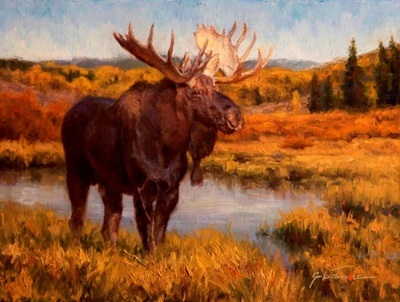 In 1998, Ryan received a Bachelor of Fine Arts from Utah State University where he studied under Glen Edwards, to whom he still credits much of his success as an artist. Previously, he studied at Weber State University in Ogden, Utah where he earned an Associate of Arts degree, and also at Snow College in Ephraim, Utah. His education continues today with trips to museums andgalleries around the country to study from the masters, both living and deceased. Ryan cites numerous artists as influential, but Frank Tenney Johnson and Carl Rungius are always at the top of this list. Ryan travels widely to participate in shows including the C.M. Russell art auction in Great Falls, Montana and Nature Works in Tulsa, Oklahoma, where he was awarded a best of show, 2-D in 2003, best of show overall in 2004, and best of show 2-D again in 2005. Ryan was a top 100 finalist at the 2004 and 2005 Arts for the Parks competition in Jackson, Wyoming, where he received the 2004 wildlife award of merit and the Grand Canyon purchase award as well as the 2005 Stephen L. Aschenbrenner award. He was honored to have a painting included in the Artists for a New Century show in Bennington, Vermont in 2002. 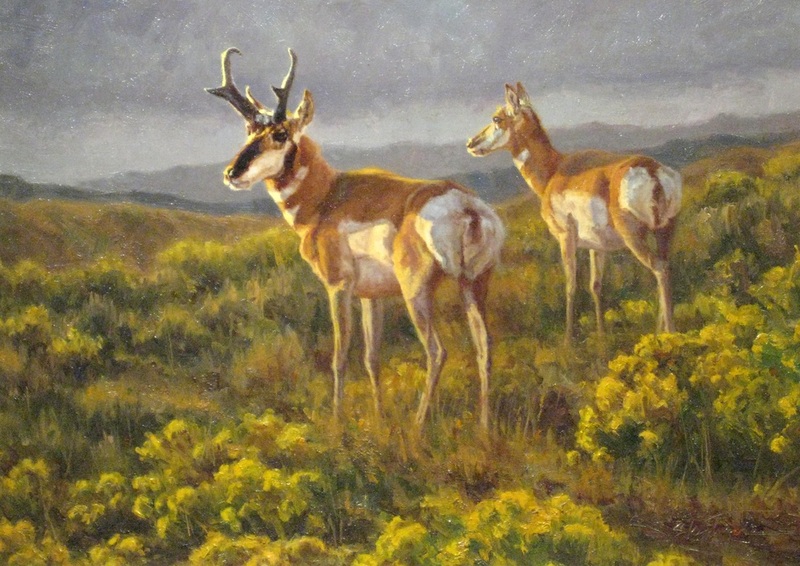 Ryan was featured In the Nov/Dec 2006 issue of Wildlife Art Magazine and in September 2000, he was featured in Southwest Art´s first 21 under 31 issue. First hand knowledge is very important to Ryan´s work. 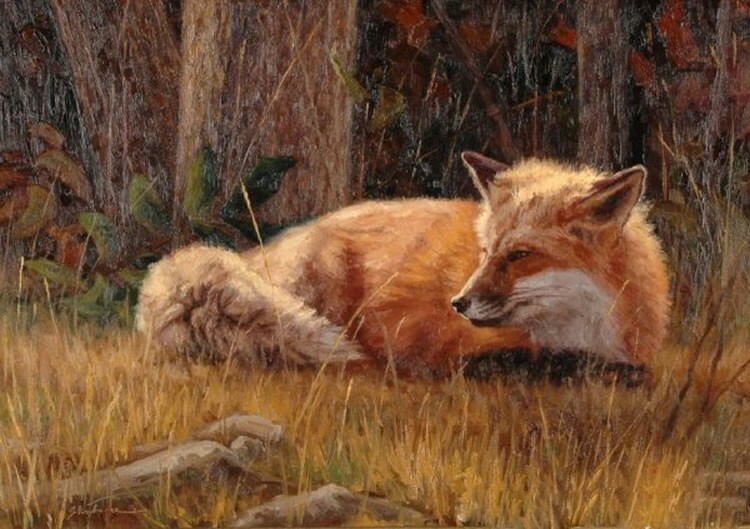 Frequent excursions in the field provide him with studies, photographs, specimens and memories, all of which become the basis for his paintings. Yellowstone, the Tetons and the Canadian Rockies are favorite destinations, as well as the red rock and desert country of the southwest. Ryan currently resides in Ogden, Utah with his wife, two daughters and a son who are also developing a love of art and wild places. We are excited about this time in our lives and feel extremely blessed to do what we do! 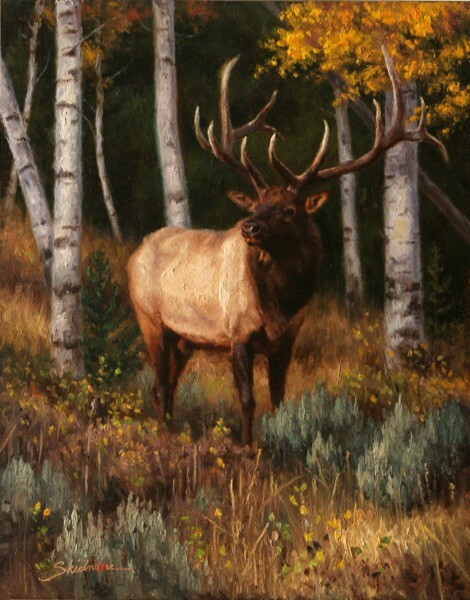 I hope that through my art, I am able to convey the importance of preserving our wild heritage.